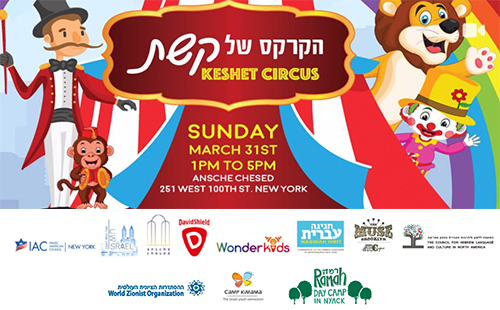 The IAC NY proudly presents Hagigah Ivrit, the wonderful Keshet Circus, where magic is real and books come alive! An incredible event for babies, toddlers, young children and their parents promises to be an enchanting celebration of Hebrew language and Israeli storytime favorites! Feel free to join in on the whimsy and come dressed in costume. This event is produced by Wonder Kids.